These rifles are fully equipped out of the box, featuring an EF Blade trigger, a new Super High Torque Motor form VFC, quick change spring system, QRS pistol grips, modular stock, and trigger finger rest. The Avalon uses a custom VFC ECS Gearbox from VFC, with an included MOSFET. 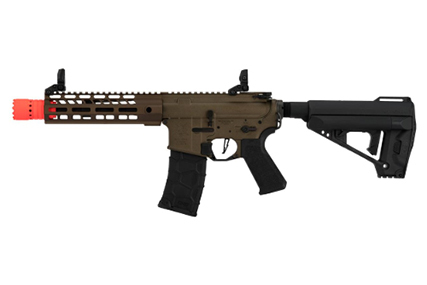 The Saber series of rifles feature a combination Picatinny and M-LOK handguard system, which is quickly gaining speed in the accessory market, which is much lighter than your standard quad picatinny rail system. 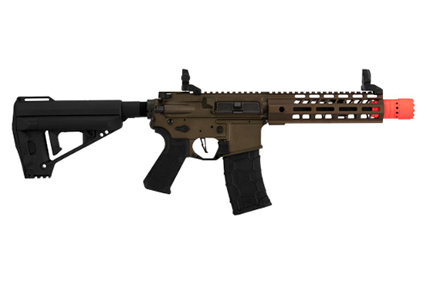 Internally, this rifle sports a 6.03mm tight bore barrel for the best accuracy. With this tightbore, the velocity with your standard .20g BB is around 360-380FPS, which is perfect for short to mid range engagements.